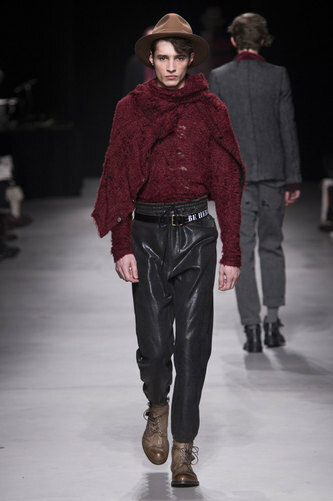 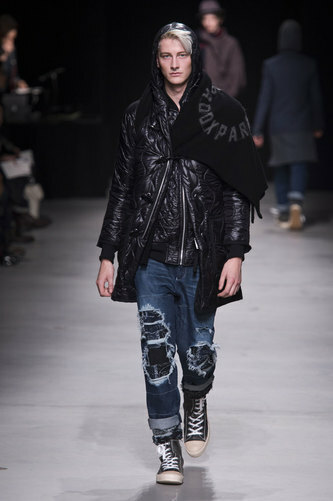 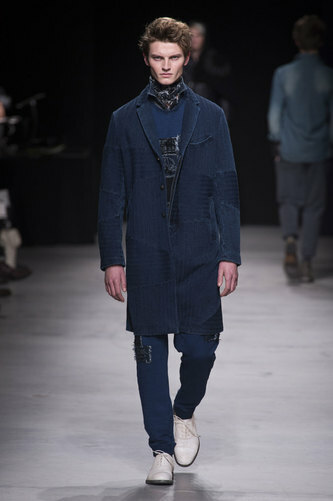 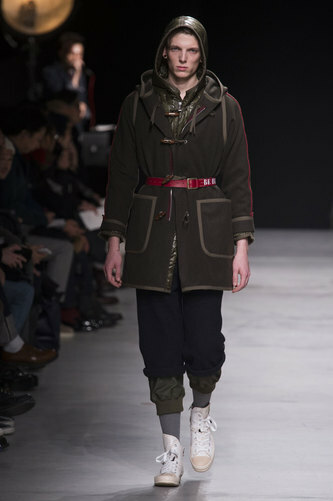 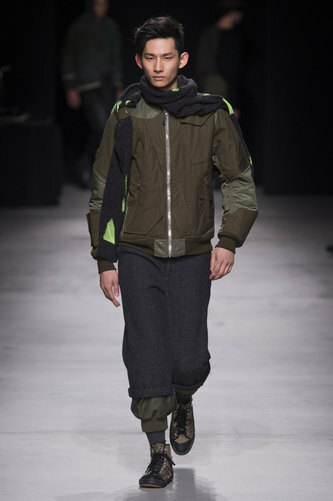 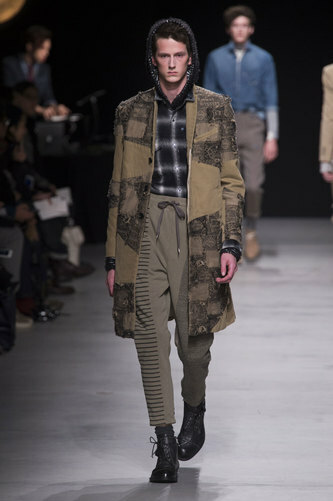 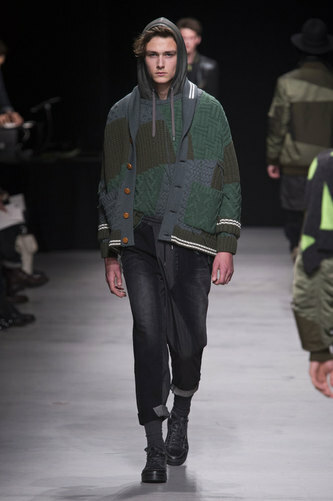 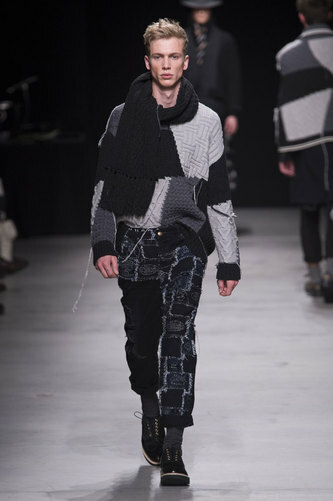 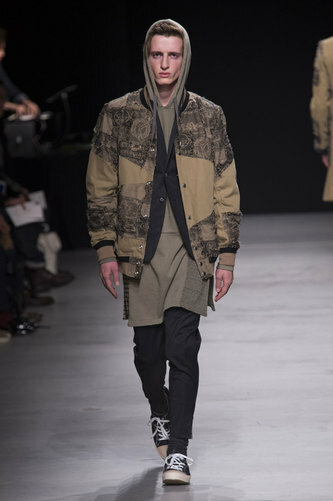 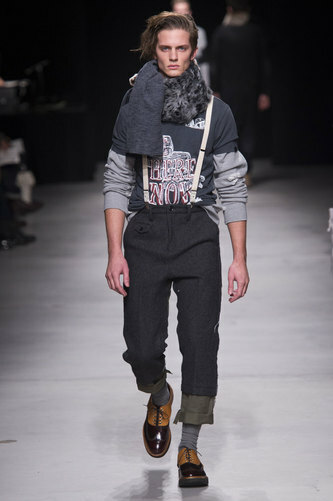 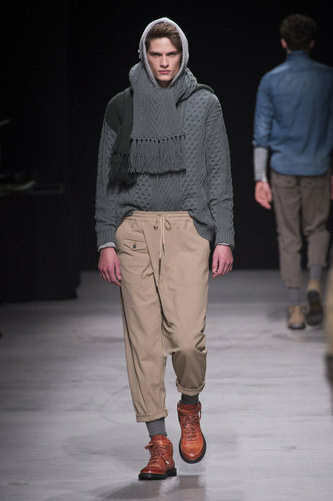 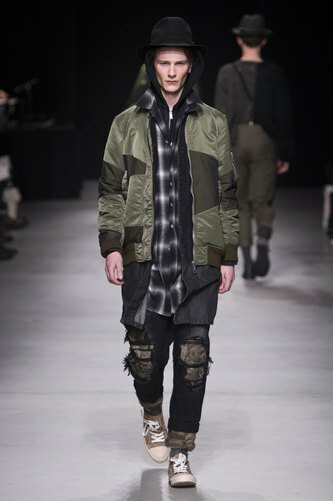 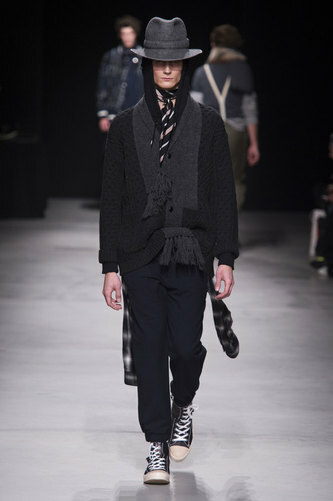 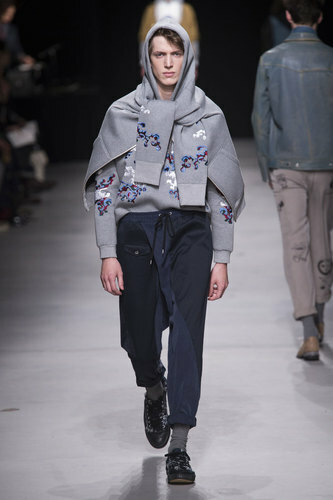 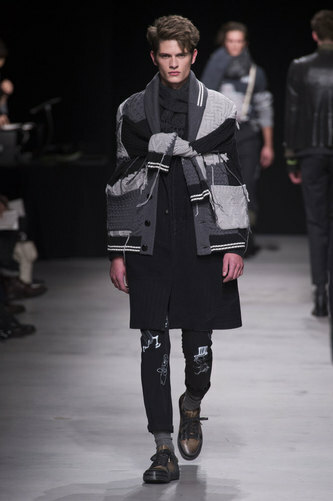 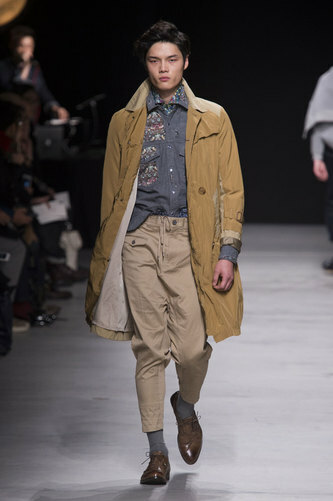 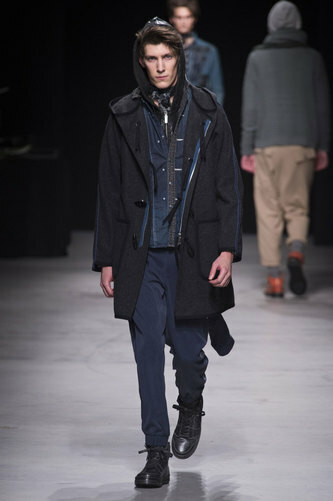 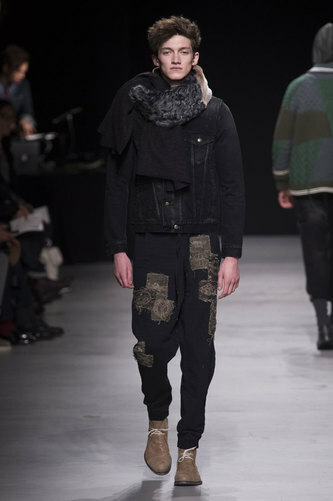 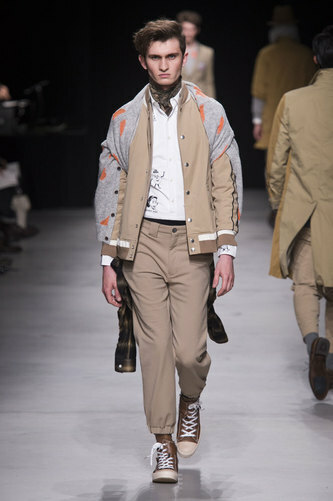 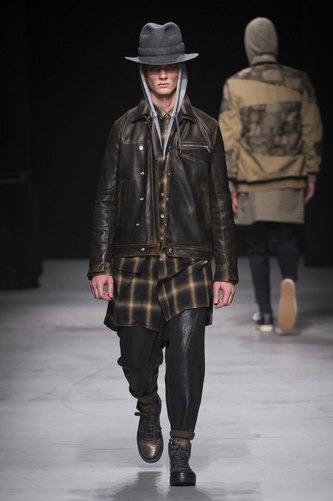 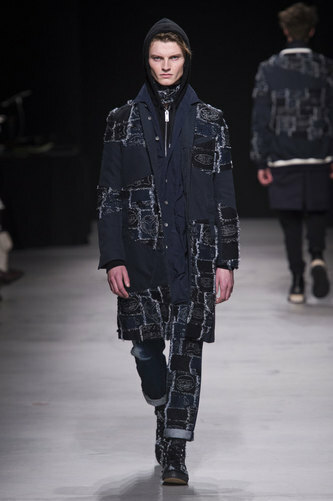 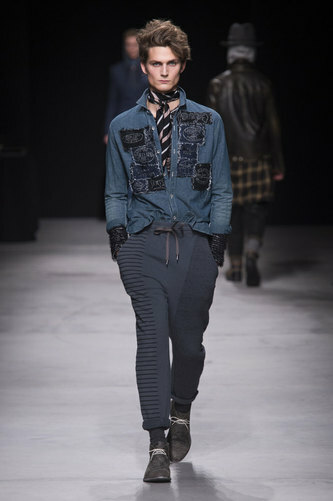 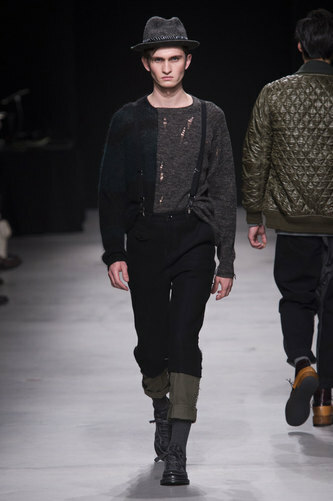 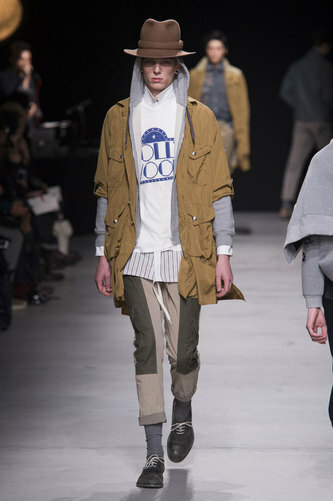 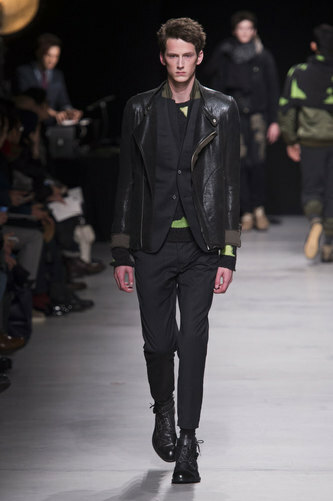 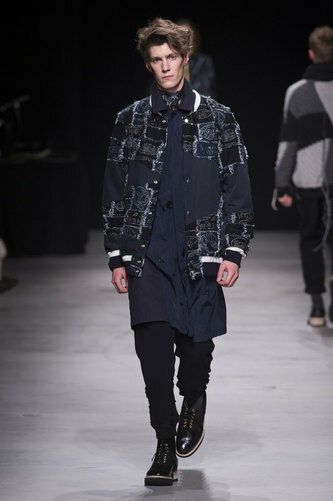 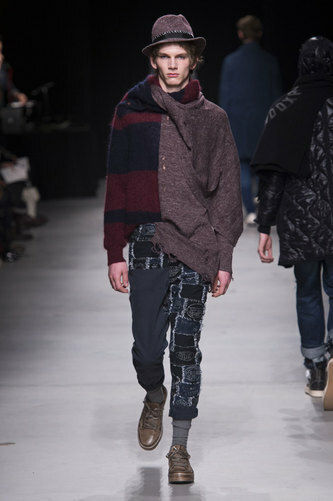 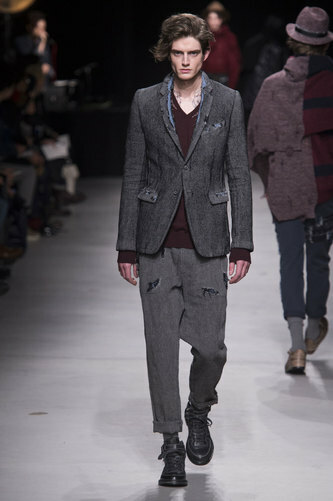 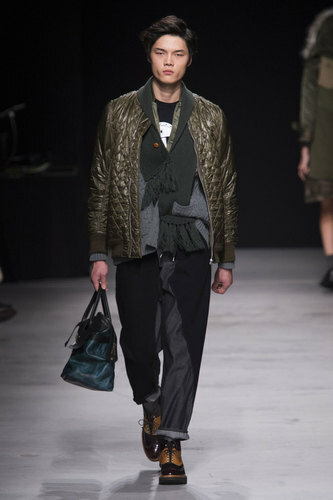 Miharayasuhiro Man Autumn-Winter 2015-16 – Heading towards a more casual yet sophisticated avenue; comes the brand new line from Miharayashiro. 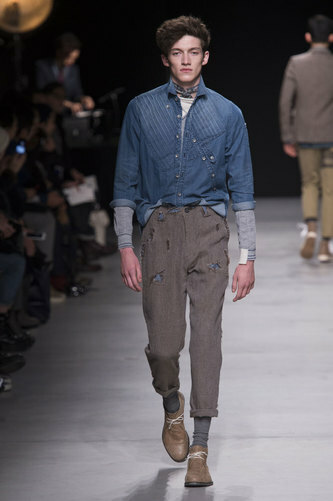 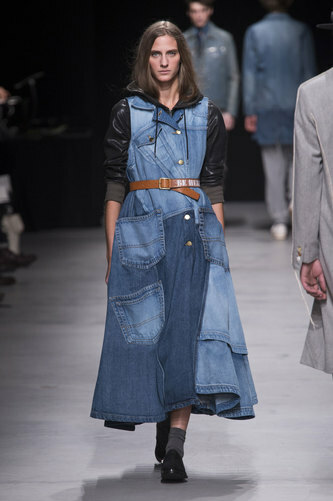 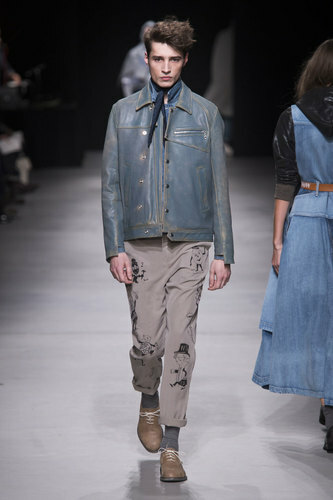 Combining looks from the 1980’s and the 1990’s Miharayashiro has no fear in adding sweatpants to a runway but teams it with double denim. 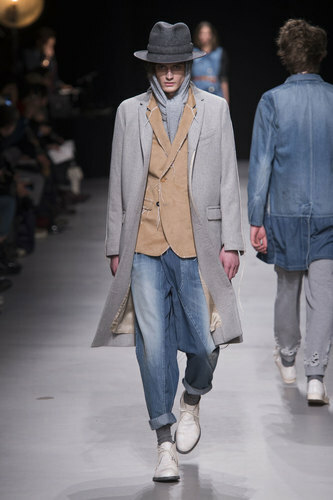 Despite the strict rules of double denim; the two colours blend well together, creating an almost ombre effect. 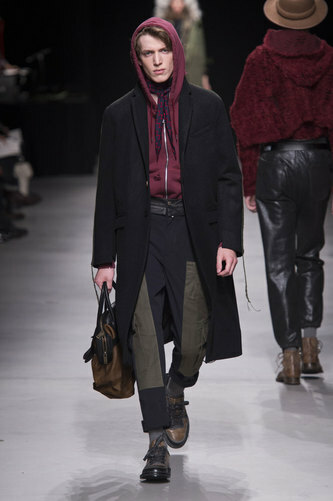 Detailing in the trousers of scratches and tears give an individual look whilst the neck scarf brings the sophisticated edge to it. 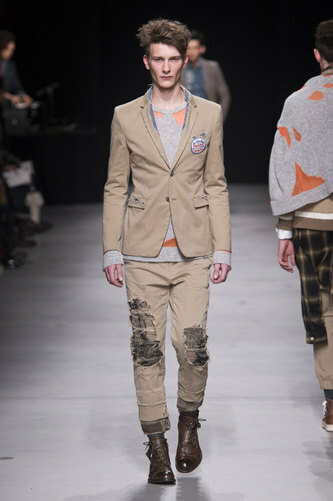 Patchwork appears on many different levels, as well as delicate embroidery and stripes. 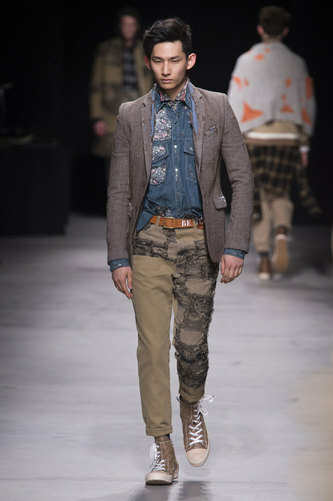 The combination of all three makes it suitable for anyone to experiment with. 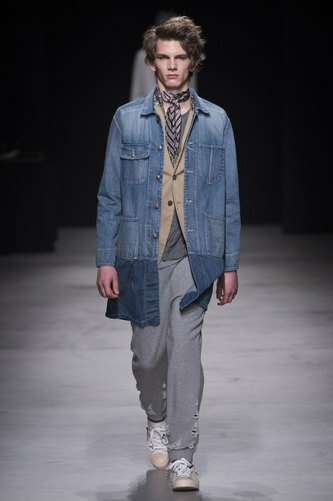 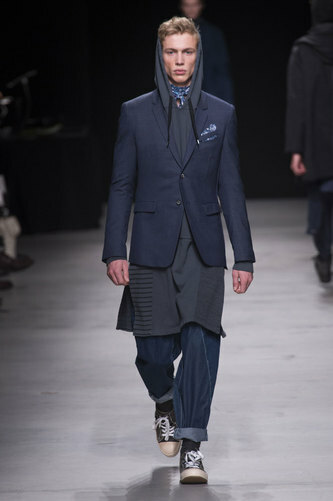 Heavy layering on the top half cannot be seen as too overpowering or too much due to the lighter amount on the bottom; the shoes are simple, yet comfortable; whilst the trousers rolled up to calf length is just the right touch for simplicity.